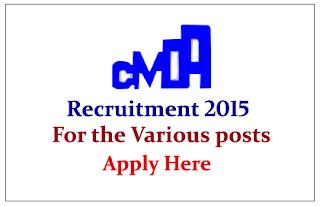 Chennai Metropolitan Development Authority is recruiting for the various post for the year 2015. 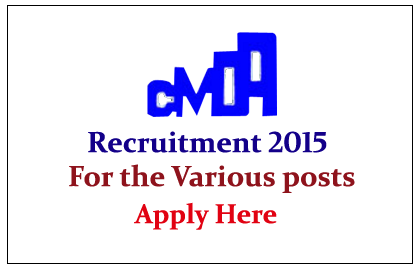 Interested and Eligible candidate can apply here on or before 15th May 2015. Chennai Metropolitan Development Authority (CMDA) was constituted as an ad-hoc body in 1972 and become statutory body in 1974 vide the Tamil Nadu Town and Country Planning Act 1971. Eligible candidates can send their application form with required document on or before 15 / 05 / 2015. For more details kindly check official Notification.